Scare people if you have the solution. Make people afraid, then show them how to remove that fear using your product. Lifebuoy soap made the term B.O. (body odor) famous in order to sell a solution. 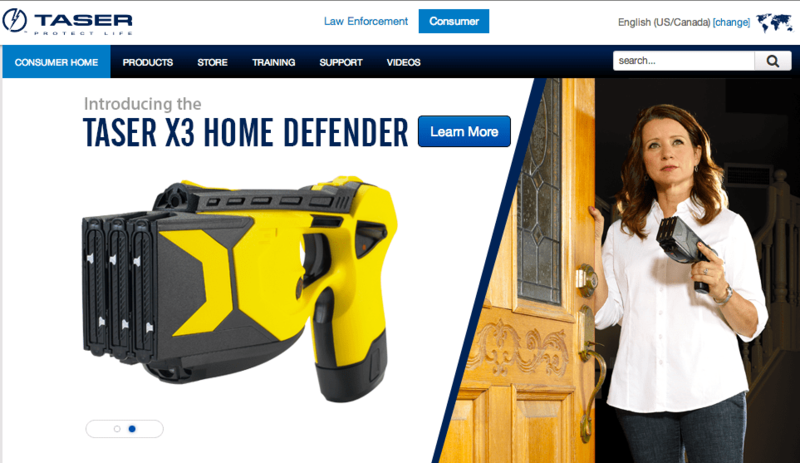 Taser resorts to videos of masked intruders to reinforce the threat and images of people answering their front doors brandishing the weapon to emphasize the solution. Why do people fall for this type of fear-mongering? Research into prejudice by Gordon Hodson and Michael Busseri suggests that people who have difficulty grasping the complexity of the world might tend toward prejudice and conservatism because they find it too hard to interact with people not like themselves and because they like the structure and simplicity provided by socially conservative ideologies. Ensure you have all three ingredients: the anger-inducing threat, a convincing recommendation for dealing with that anger, and an action that people can take right now. Pour les Français: Je m’excuse pour les folies d’un petit groupe de mes compatriotes. Je sais que les «Frites Français» sont vraiment belges.